Diabetes doesn’t have to control your life during the holidays. 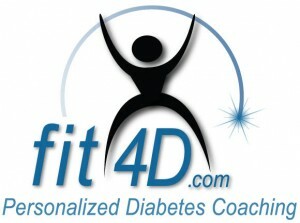 Certified educators and coaches at Fit4D.com, a personalized diabetes coaching service, have provided us with some tips that will let you enjoy the holidays with family and friends. With all the wonderful holiday food to choose from, be sure to have your plate planned out in advance to avoid letting your taste buds take over. This includes desserts. Find out recipes and carbohydrate content of foods ahead of time. You might find that you can fit in a little sliver of every favorite holiday dessert into your meal, and still stay on track. Try to plan holiday meals around your normal meal times instead of snack times. Have carbs throughout the day instead of saving them all for one meal. Your body likes consistency with carbohydrates in order to process the glucose more efficiently and work properly with your medications. Pack some leftovers and enjoy the holiday meal again the next day. Take a walk after your meal to re-energize and help your body digest and burn off extra calories from the variety of holiday foods. Keeping your blood glucose and weight management goals in mind, try not to go to any holiday parties or events on an empty stomach. An empty stomach increases your chances of overeating and losing track of the carbs and calories. Appetizers, such as broccoli, carrots, cauliflower, and celery, are great low carb, low calorie options. If you are able to bring an appetizer, present some fresh veggies and light dip. This will save your carbs for the meal. Keep in mind that sausage and cheese are meats and have a minimal effect on blood glucose levels when eaten in moderation, they are full of saturated fat and calories, so try to keep the portions small. If you choose to drink during the holidays, please be safe with regards to carbs, calories, medication, and general wellness. The recommendation for men is 2 drinks and 1 drink for women per day. One drink is equal to 1 beer, 4oz wine, or 1oz spirits. Some alcoholic beverages contain carbohydrates, especially when mixed with sweet mixers, such as margaritas or soda based drinks, so they need to be included into your meal plan. Be sure to wear medication identification, and never drink on an empty stomach. Alcohol also does not mix well with some medications, so please check with your healthcare provider before drinking. Limiting your alcohol intake will save you calories and not impact blood glucose levels as much.